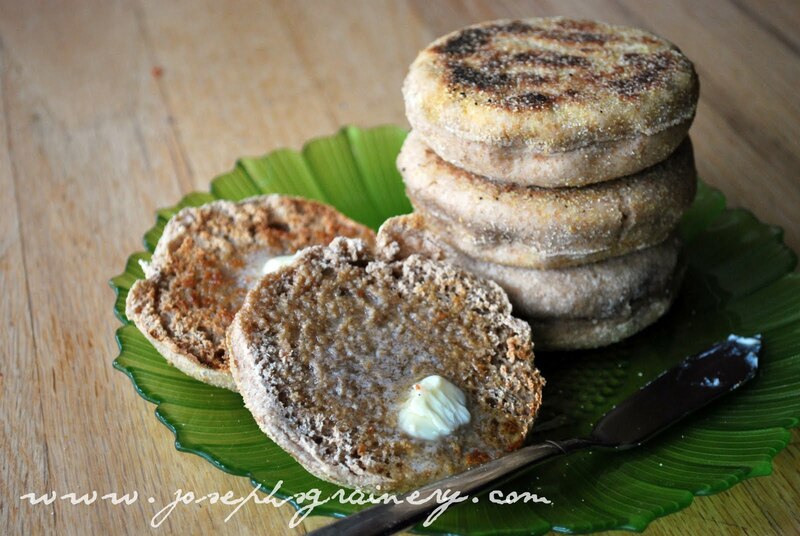 These little Whole Wheat English Muffins are so good MaMa has made them twice now! I call them cookies when she smothers with butter and apple butter because they are so yummy. They had that genuine English Muffin taste and had the perfect texture too. These will definitely become a staple in our house. Directions: Heat your milk and butter in the microwave.Combine them and cool until lukewarm. In the bowl of your mixer, dissolve yeast in warm water; add the milk mixture. Gradually add the flours, sugar and salt to make a soft dough. With the dough hook, knead until smooth and elastic, about 8-10 minutes. Place in a greased bowl, turning once to grease top. Cover and let rise until doubled, about 1 hour. Preheat your oven to 350 degrees. Punch dough down. Roll to 1/3-in. thickness on a cornmeal-covered surface. Use lots of cornmeal to make sure the muffins don't stick. Cut into circles with a 3-1/2-in. or 4-in. cutter (we use a glass). 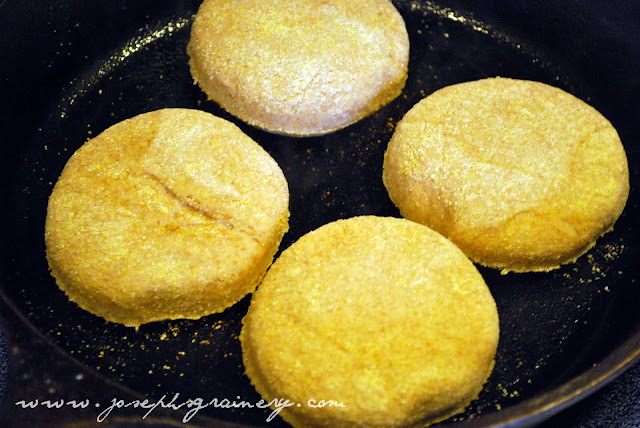 Place muffins, cornmeal side down, in a greased skillet; cook over medium-low heat for 2-3 minutes on each side. Place muffins on a baking sheet and bake for 5 minutes at 350. Cool on wire racks; toast to serve. 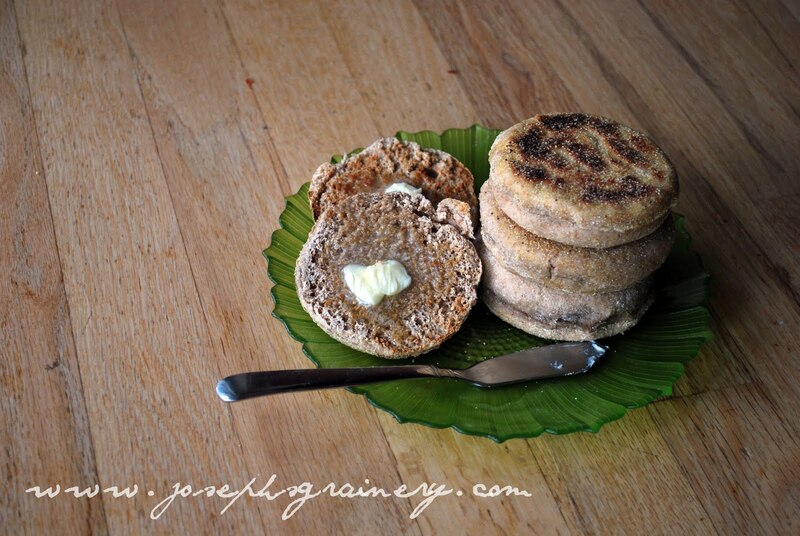 How do you like your Whole Wheat English Muffins served up?